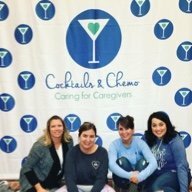 Don’t forget Cocktails & Chemo this holiday season!! Can you believe the holidays are here? It’s my very, very favorite time of year. My birthday is December 14th and Mira Joey turns TWO on December 19th! Then of course, my guy JC on the 25th. 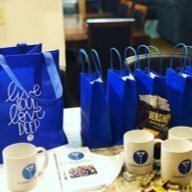 I hope you’ll think of all of the people who are suffering this holiday season and remember The Cocktails & Chemo Foundation! 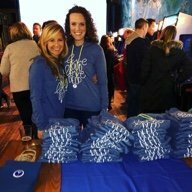 We had an amazing fundraiser with our Cocktails & Chemo bangle bracelets, we’ve sold out! That’s 300 bracelets all across the country! As soon as we re-stock we’ll put them back in our online store! We have set up an AMAZON WISHLIST if you’d like to send something for a caregiver. You can CLICK HERE. Please remember the people in your life who are fighting cancer or who are grieving. People need you and just one act of kindness makes a difference! Here is my video breaking down our holiday wish-list and don’t forget to watch until the end when our ridiculous cat goes crazy. 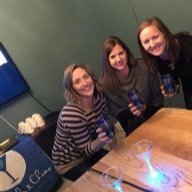 HAPPY HOLIDAYS FROM THE COCKTAILS & CHEMO FOUNDATION.